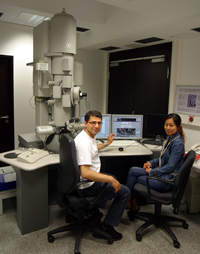 The two-year international Master of Science programme is offered by the Interdisiplinary Centre for Advanced Materials Science (ICAMS) at the Ruhr-University Bochum. Courses will be held in English by internationally recognized experts from ICAMS, the Institute of Materials Sciences, the department of civil engineering, and the department of physics. The programme is addressed to students who hold a Bachelor’s degree in engineering, natural sciences, applied mathematics or computer sciences. Students will obtain a comprehensive knowledge of materials science, physics and numerical methods. In particular successful students will develop a profound knowledge and practical experience in applying advanced numerical and experimental methods on all length and time scales that are relevant for materials. In this way the new Master’s Course will prepare excellent young scientists for successful careers in industry and academia. The curriculum was set up and will be continuously revised in co-ordination with the ICAMS industrial partners, thus ensuring to maintain the program’s high standards in meeting the demands of current and future developments in research and industry. The two-year, 4 semester programme comprises basic and compulsory lectures imparting a thorough, science-based understanding of the behaviour of engineering materials of all kinds. 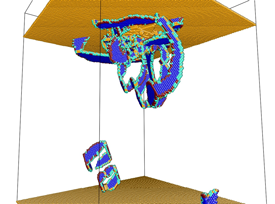 In the first semester, bachelors with different backgrounds have the possibility to acquire knowledge which is required to successfully work in this Masters course and which their previous courses did not cover, e.g., solid state physics for engineers or materials technology for bachelors with a physics background. To maintain a high standard, students will have to pass certain tests within a given period of time.